Three teenagers were arrested after a boy was stabbed in the back during a fight involving 10 youths. 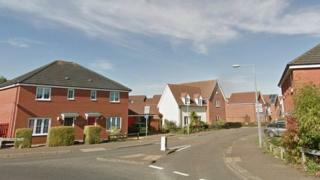 The attack happened in Mountbatten Drive, Sprowston, near Norwich, at about 21:25 GMT on Friday. Norfolk Police said the boy, aged in his late teens, was taken to the hospital with multiple stab wounds and a fractured skull. His injuries were not thought to be life-threatening. The arrested trio, two aged 16 and one 17, were released on bail, police said.